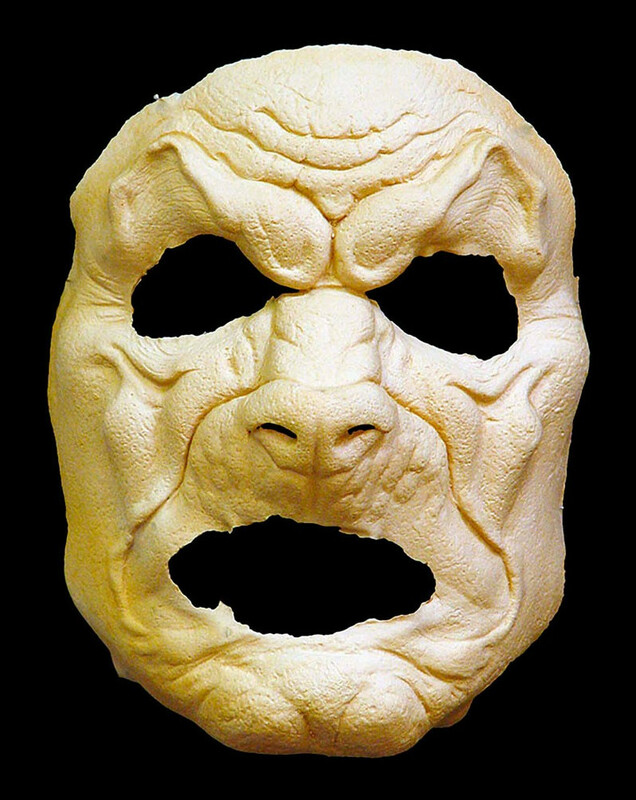 Our werewolf mask is made of soft foam latex. It has extremely thin edges that can easily blend into to your real skin. They are light-weight, strong and wrinkle like real skin. Reuse our masks and appliances by carefully removing them with rubbing alcohol and powdering before placing them back in the container they shipped with. Tip: Let the mask dry completely before powdering. Before you put the mask in the bag, add a little powder to the bag first to prevent sticking. Use our prosthetic adhesive or spirit gum to attach your mask to your face. Blend your mask into your real skin using our natural skin tones palette. Wig not included. Our werewolf fangs are strong and fit over your existing teeth using hydroplastic. 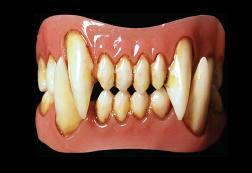 When softened in hot water, hydroplastic is pressed on to the front of your teeth for a perfect fit. You can re-soften the hydroplastic as often as you’d like to refit to your teeth as they change over time. Our Foam Latex: Makeup Application Kit provides you with everything you’ll need to attach, color and remove your mask. Our kit contains the most common special effects makeup colors. Download our FREE guide on how to apply and store foam latex masks and appliances. Send us an email or call us at 425.260.8949.